West Virginia is unique among states in its patterns of community development — patterns largely determined by terrain and the availability of resources such as oil, gas, salt, coal, and timber. In the early 1900s, railroads penetrated deep into its interior in search of extractible wealth, though by the turn of the 21st century the tide of industrialism had ebbed, leaving behind a landscape of small communities in a singular rural environment. The smallest unit of local government recognized in West Virginia is the incorporated community or municipality, also known as a town or city. Towns and cities operate independently of the counties in which they are located and maintain their own governments. West Virginia is divided into 55 counties, most of which were established before West Virginia was created in 1863. Most county bounds encircle a territory principally defined by ridges and river drainage areas. Most counties in West Virginia are relatively rural. West Virginia has been divided into many complex regions over time and by different agencies. Our editorial department has arranged the state into 12 regions based on cultural patterns and geographic determinants. 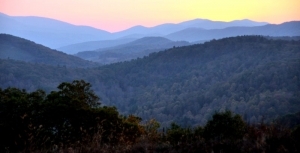 Though diverse, the State of West Virginia itself may be approached as a distinct community as a result of its controversial creation during a period of political upheaval and its condition as the only state located wholly within the Appalachian region of the eastern U.S.
Are you searching for travel information specific to a West Virginia region? The friendly folks at West Virginia’s convention-and-visitors bureaus are available to help arrange vacations specific to our various communities, whether you’re planning a short trip for yourself or an extended stay for a large group. Find a CVB now to help you plan your trip. As might be expected, the most populous communities in West Virginia — Wheeling, Charleston, Huntington, Parkersburg, and Morgantown — developed along rivers, which accommodated transportation and water power. Extractive industries, such as mining and timbering, saw the birth of communities that quickly waxed and waned, most particularly in rugged mountain regions. Many of these latter communities are now ghost towns, and others have entirely disappeared. Two official forms of community that are recognized by West Virginia law are counties and incorporated communities, also known as towns or cities. The first European settlers in West Virginia were most usually of Scots, English, and Scots-Irish descent. Many retreated far back into the highland forest and became a mountain people, braving harsh conditions in virtual isolation. Others farmed the fertile valleys. During the American Industrial Revolution, African-Americans and European-Americans of many ethnic origins arrived to work in mines and factories in and near its northern and southern coalfields and in forests throughout the state. In the late 1900s, many International residents moved to the state, settling especially in its largest cities. 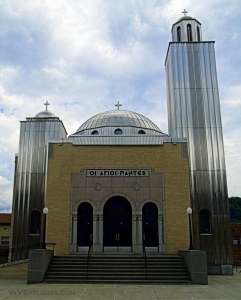 As a result, West Virginia is home to many diverse ethnic communities.